plesecq's review (This content has been automatically translated from French)" Super small box"
At first the concept is not clear, but after reading the documentation it is not doing badly. I'm mainly on Mac and I installed a lot of freeware effects and VST instrument. For those with authorization I stayed in compatible list Site SM PRO. For controlling DC I use a BCR2000 without any problems. Vst using the SSE2 instructions do not seem to load it. I use it for 15 days. I is not tried other model of its kind. What I like least: 1 Mhz processor speed so do not go hungry VSTi. Complexity to create a wizard. The price / quality ratio is excellent. I remake that choice without a moment's hesitation. ledamie's review (This content has been automatically translated from French)" the concept is good, not achievement." the host vst are quite expensive (receptor and others), for once in her was the leap. the size of the insect, can be put on the edge of the keyboard. the possibility of internal configuration fx send, chain multiple vst. the product support forum that closes when I bought it. (to see the site of SM audio). audio input jack 3.5, I think there is room for a real connection. I think not, I hesitate to take several (one for the instrument and the other for effect), but it must be profitable. 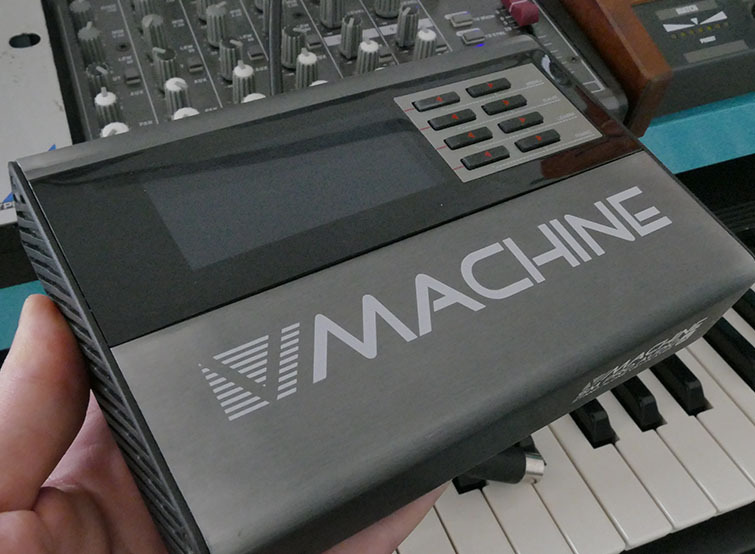 A303's review (This content has been automatically translated from French)" pity that the concept has stopped"
The big highlight of this machine is that you can install a surprising number of VST, allowing an infinite number of sounds. Most free VST that I could test it is installed without problem. I tested the MS20, Polysix the, monopoly and the excellent ZETA2 + I think that given the cost of V-machine and plug well worth the investment. You plug any USB controller or MIDI and it works, you put on a control parameter, you press "midi learn", turn the knob and it works magic. With the software, the keyboard can be divided into 4 and install the plugs or install four different instruments on different channels twelve o'clock. There's a handy audio input to use multi-effect. But all is not rosy. 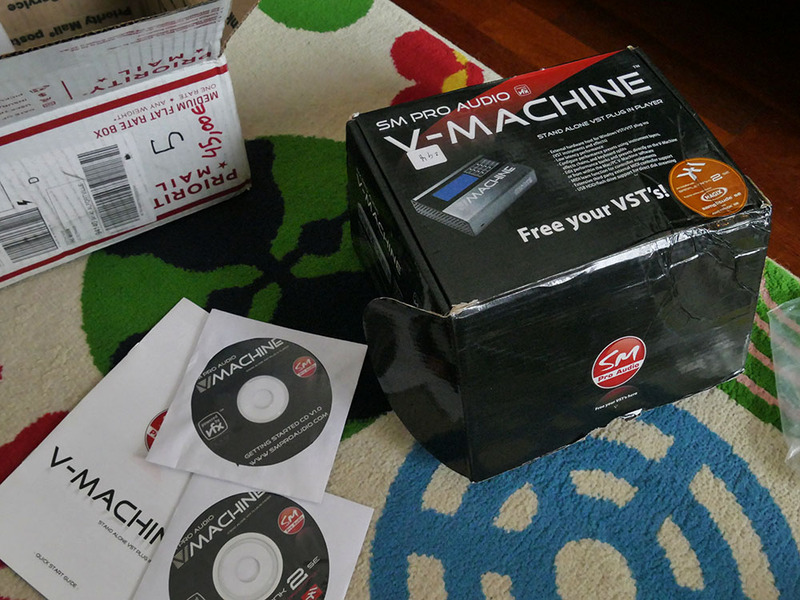 When you buy the V-Machine, immediately do the update firmware since has used the presets already installed, you can not install anything, it does not work, it's crazy to sell such a product. Once the update installed, you can start having fun. The software allows the integration of VST is a real wound, it often crashes and sometimes you have to reinstall to recognize the v-machine. transfers are a bit long especially if the plug uses samples. Fortunately, once in the box, it works perfectly, even if the buffer is saturated, there are some blip but the machine does not crash. can also increase ceux_ci to run plugs greedy, of course increasing the latency. This is not bad if you play the keyboard but entant when you sync with a sequencer. Another negative point, the v-machine does not receive clock noon, it will determine the BPM of your patches in your expander oscillators can synchronize your example. For me it is not very troublesome, it works well like that. 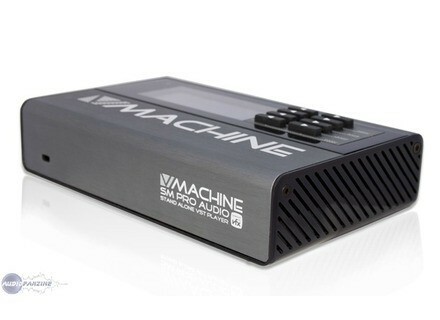 At that price, this is a fabulous sound module, it can do anything even if it is a lack of power. Can not use a Sylenth1 (damage) or any other plugs hyper greedy. Connecting a controller or sequencer is very easy, is really terrible, the only snag is that the software provided Pante but the machine is stable. 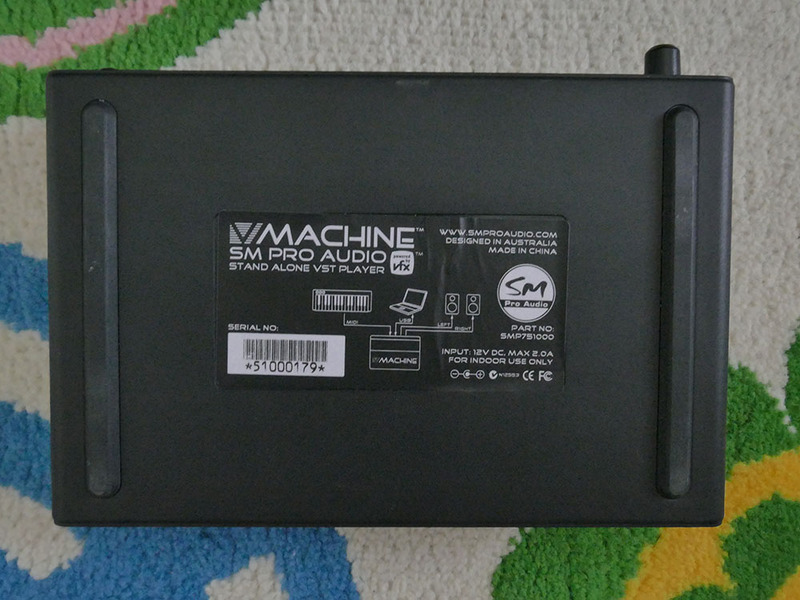 So it's great, too bad the project is stopped and that there is not a more powerful version 2.
yed's review (This content has been automatically translated from French)" a magic box ..."
two weeks, machine unique and at this price. + + This box is what to do in most cases (VSTi compatible). 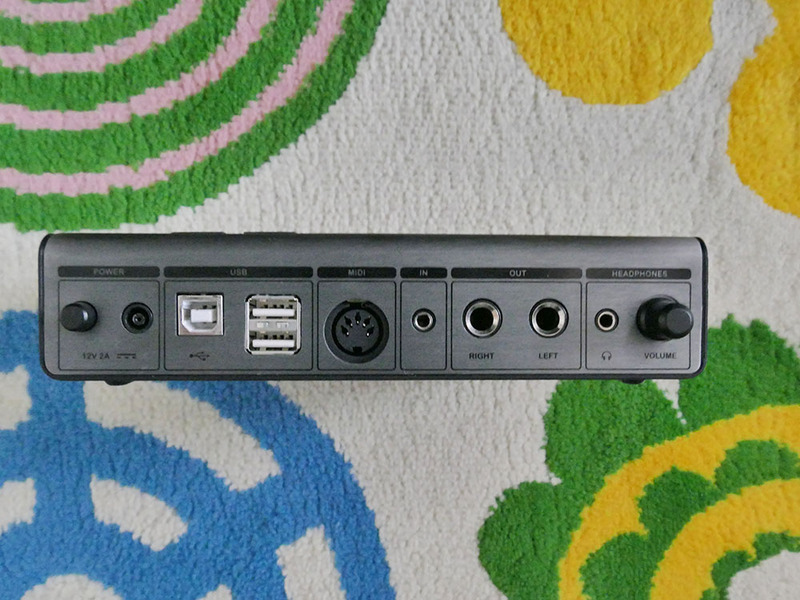 there's almost no need for the pc connected to but works great as expander (lots of vsti) in the export of software daw.le vsti is perfectible but already effective. + + + Export on hdd or usb key. - The fan means in effect but no problems with the inputs and outputs (although isolated). - I wanted more power and output but there have to buy the range above. I think I would do this choice, I expect even good for Cygnus me take a second, what seems to be the best solution to have more power and outputs for cheap . 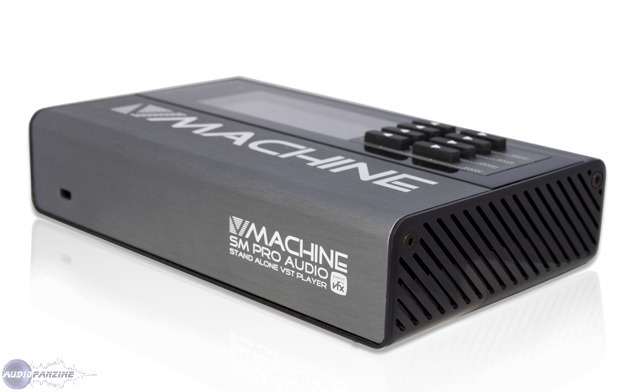 SM Pro Audio has announced that its V-Machine hardware VST player is now shipping.